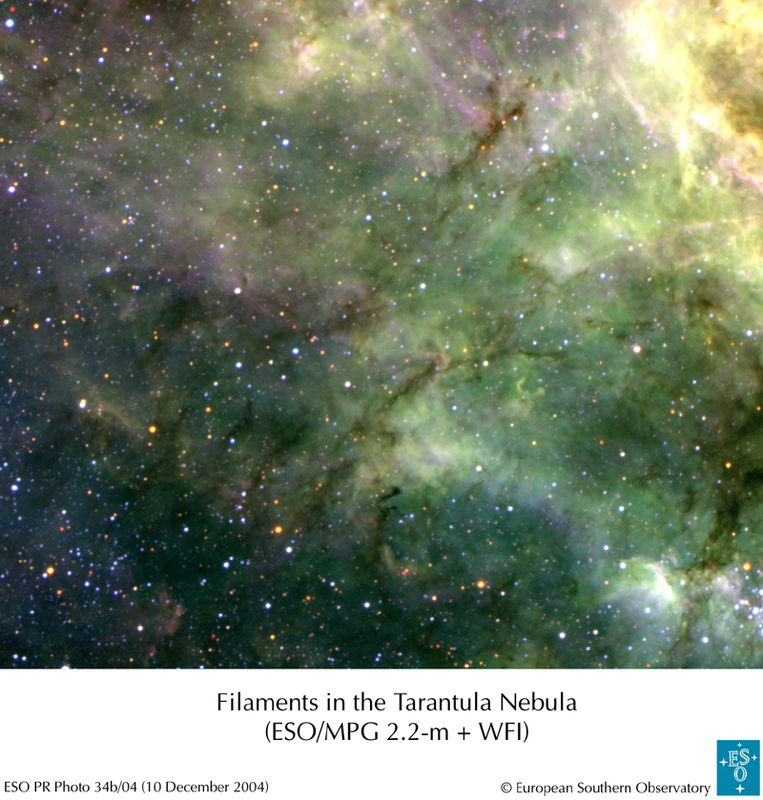 Explanation: The Tarantula Nebula is a giant emission nebula within our neighboring galaxy the Large Magellanic Cloud. Inside this cosmic arachnid lies a huge central young cluster of massive stars, cataloged as R136 and partially visible on the upper right. The energetic light and winds from this cluster light up the nebula and sculpt the surrounding gas and dust into vast complex filaments. These "tentacles" give the Tarantula Nebula its name. In this impressive color image from the Wide-Field Imager camera on ESO's 2.2-meter telescope at La Silla Observatory, intricacies of the nebula's complex array of dust and gas are visible. 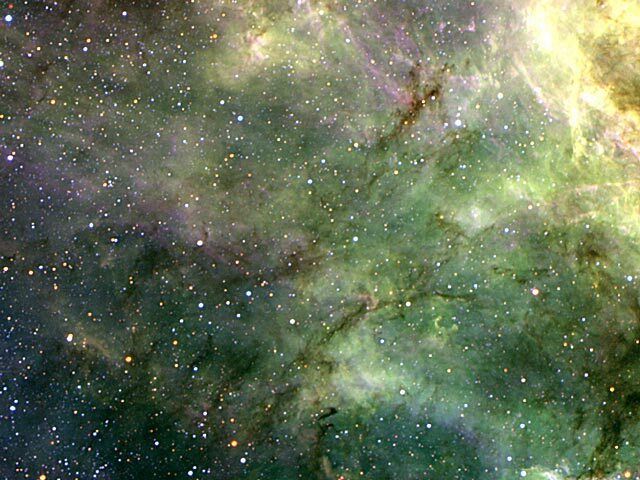 A 300 light-year portion of the Tarantula Nebula is imaged. The Tarantula Nebula, also dubbed 30 Doradus, lies 170,000 light years away toward the constellation of Dorado.